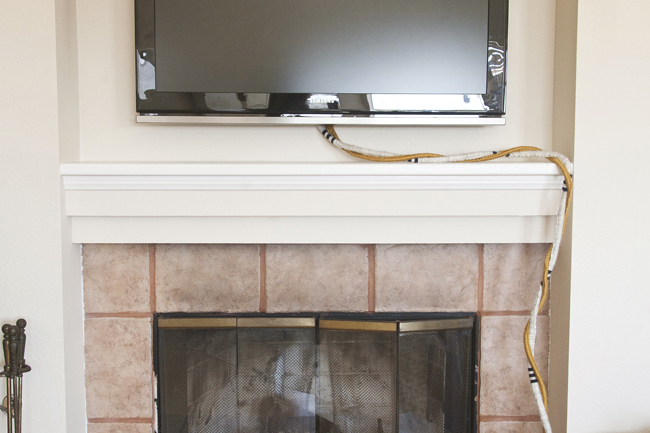 insideways: Make Your TV Wires Pretty! 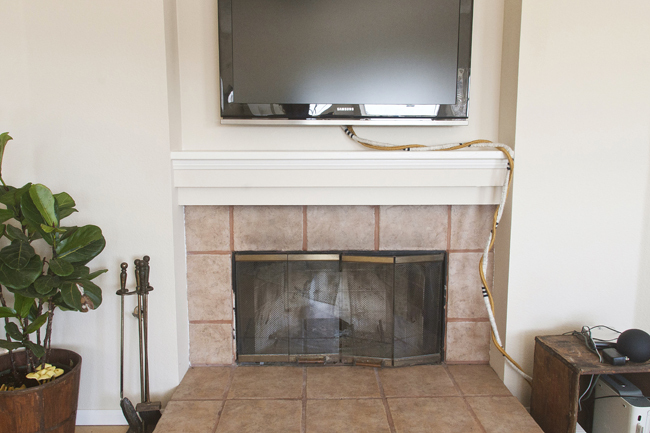 Make Your TV Wires Pretty! 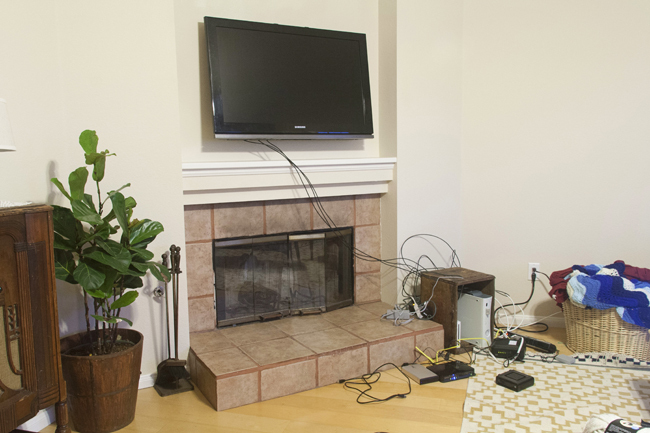 After finding the perfect place to put the TV in our apartment, Tim and I were faced with a seriously ugly problem: how in the world would we hide those ugly wires?! 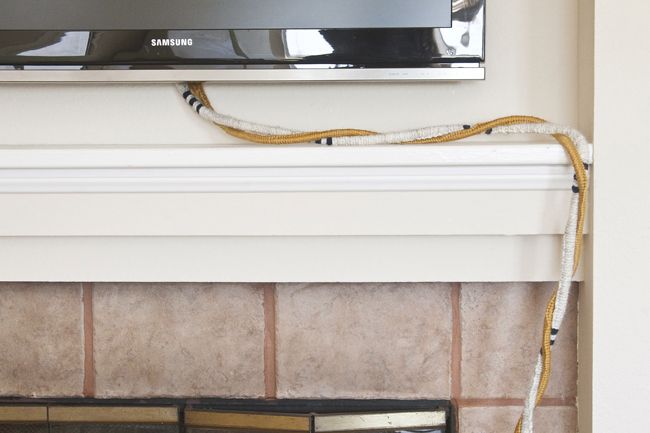 Inspired by this post on Apartment Therapy and this post on Design Sponge, we decided to embrace the wires and make them a beautiful part of our mantle. 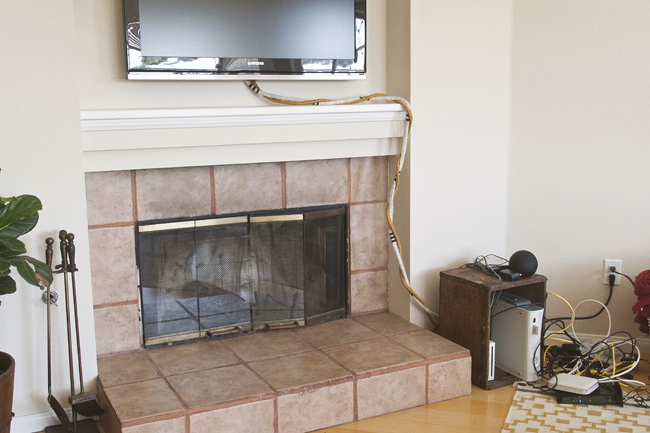 By wrapping the wires in yarn we made them sculptural and coordinated them with the colors in the room. I love the way it turned out! 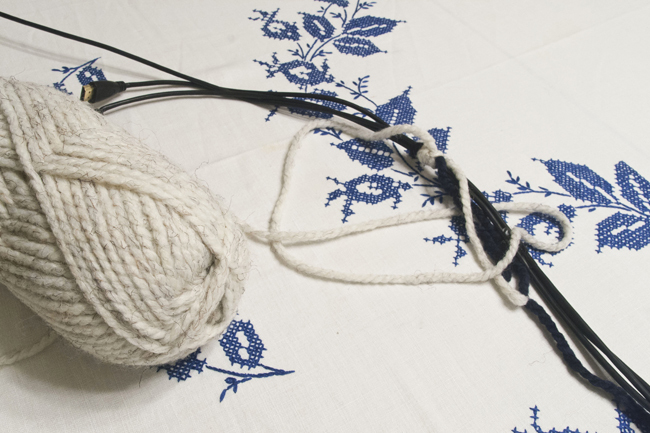 To beautify your own wires, all you need is yarn (I chose a thick wool yarn to give my wires a chunkier look), electrical tape, and wires. 1. 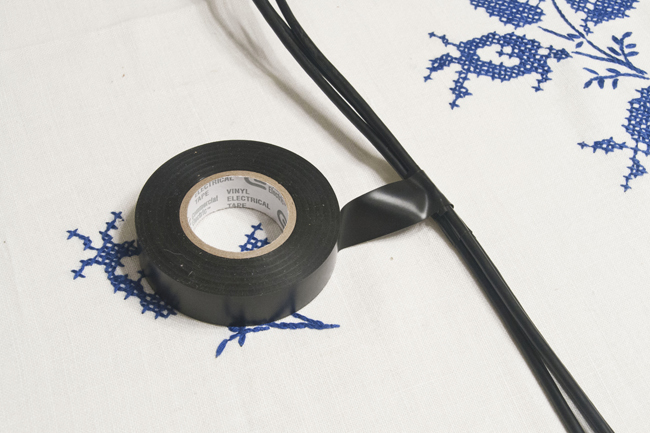 Bind your wires with electrical tape - This will be your marker for where your yarn should start and will make the yarn wrapping easier. 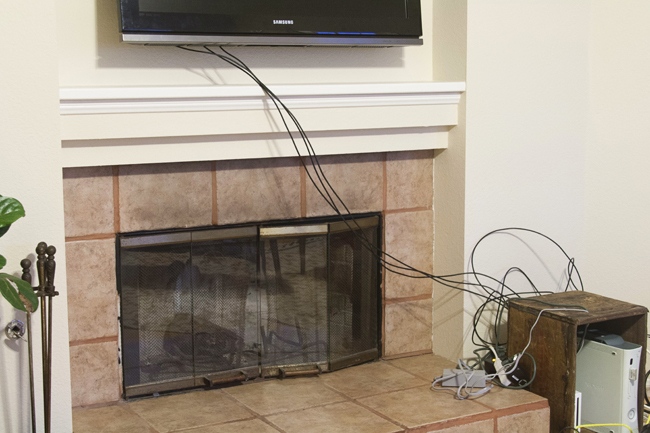 I did this step right after the wires were plugged in so they would be at just the right length. 2. 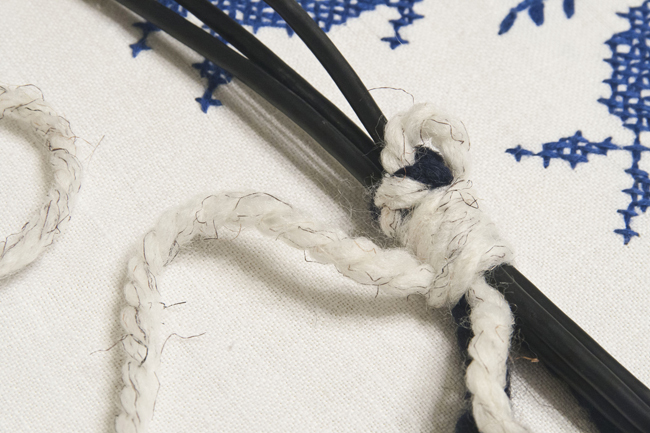 Tie your yarn onto your wires with a simple knot. 3. 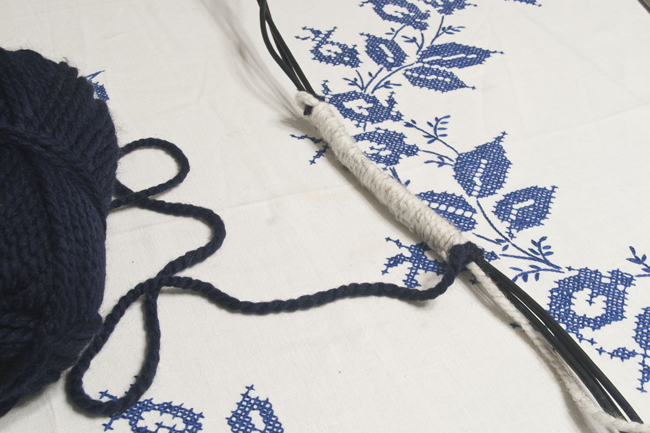 Pull all of your yarn (including your ends) down alongside the wires. Separate the color you want to start with. 4. 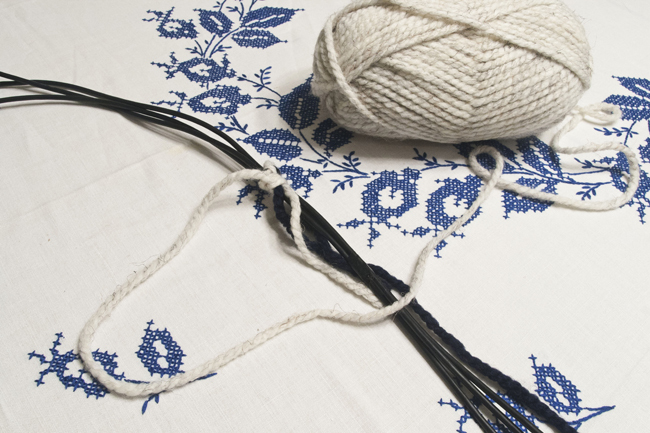 With your starting yarn color, make a loop to the left and over your wire bundle. 5. 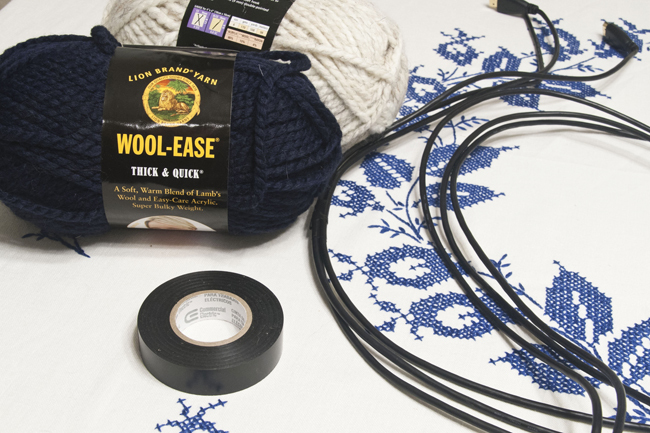 Bring the spool of yarn under the wire bundle and through the loop. 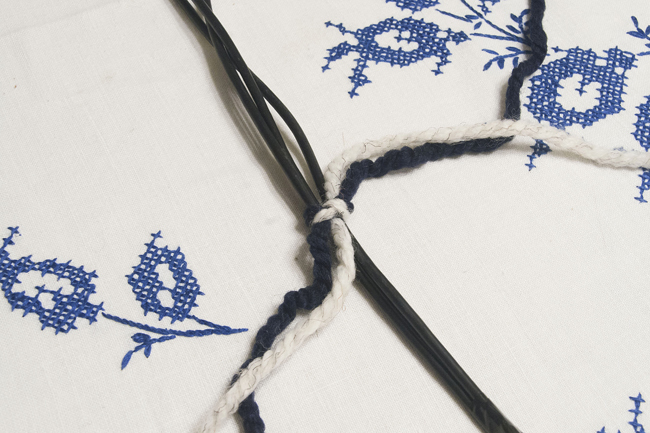 Repeat steps 4-6 over and over to cover your wire completely. 7. 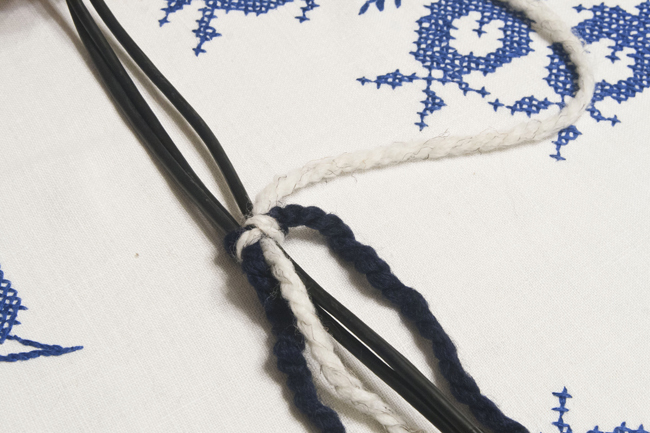 To switch colors, seperate the new color from your wires and pull your old color parallel to the wires. Now do steps 4-6 with your new color. 8. 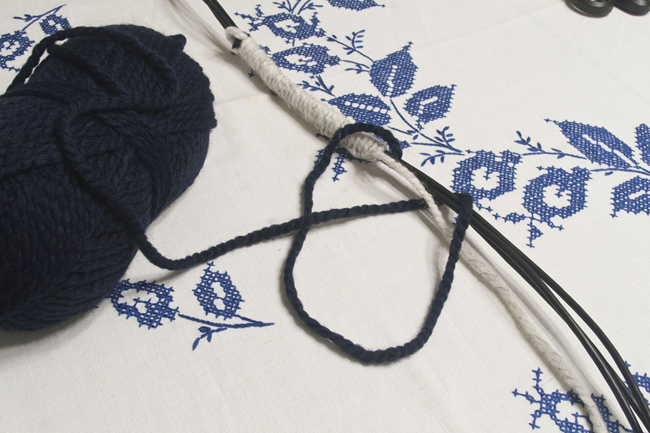 After tightening your yarn, you'll have your new color all set! 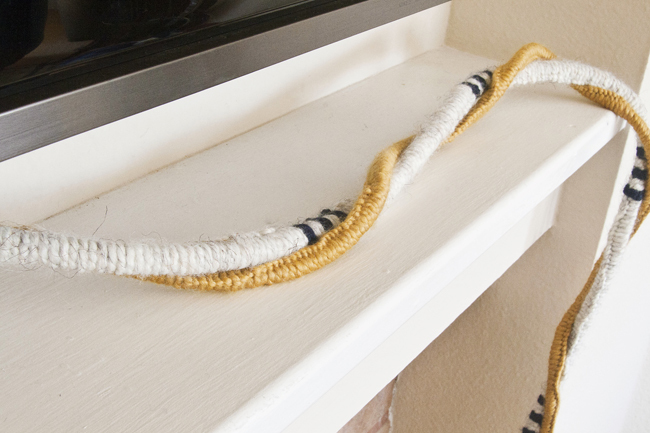 Don't be afraid to wiggle the yarn around a bit to make the color switch seamless. After a few episodes of Downton Abbey, you'll be finished! To really make our wires interesting, I decided to divide them into two groups that I wrapped separately in different colors. When I was finished, I twisted them together for the final product. Part of the point of this project is to embrace the look of the wires as sculptural instead of trying to pretend there not there (we all see them! ), so don't be afraid to make them colorful and chunky! But it still looks a lot better than before! Whacha think? Something you might try?